TGIM!! A new week is upon us. That means it's time to pursue new opportunities and new ways to stay healthy. What are you going to do this week, that will be different from last week? Maybe you'll try a meat free dish? 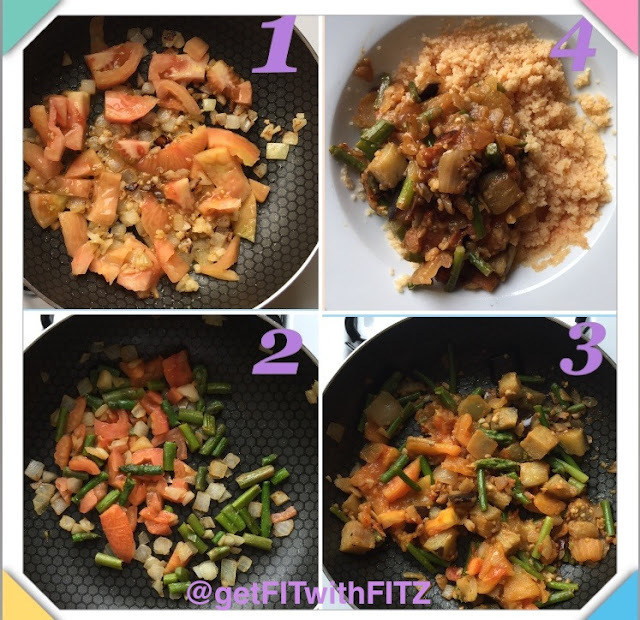 Here is today's "Meat Free Monday" dish: Summer Veggies with Couscous. 1. Sautée chopped onion, garlic and tomato in olive oil, over medium heat. 3. Then add chopped eggplant (make sure you prep your eggplant properly before cooking it). 5. Add salt, pepper and a drizzle of olive oil to taste. Share this meal with a friend to improve your physical and social health simultaneously! by inviting an elderly friend over to share this MFM meal. When I saw this billboard in the Madrid metro in July, it almost made me cry!! The caption reads, "I'm not celebrating happy years". 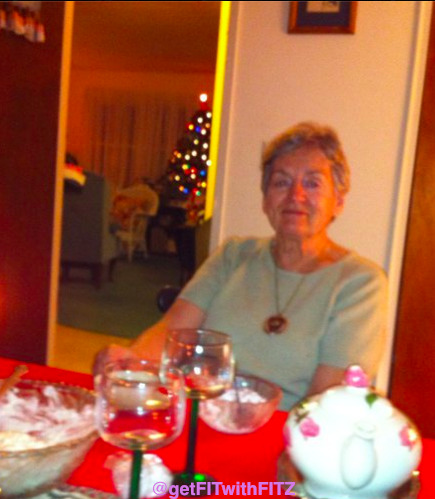 "Antonia turned 80 years old yesterday, and we were all invited. 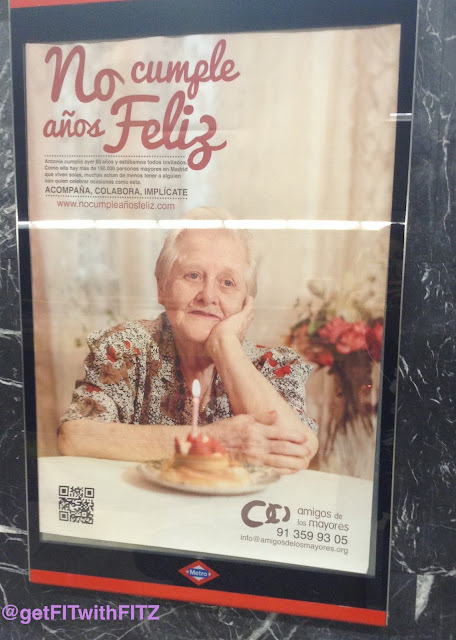 Like her, there are more than 150,000 elderly people in Madrid who live alone and many of whom miss having someone to celebrate occasions like their birthday. Accompany, Assist and Engage. Friends of the elderly." I want to send a shout out to my own grandma! Disclaimer: I'm not saying she's necessarily lonely.. she is still very active in her community and has many children and grandchildren to keep her busy! My Nanny Fitz was the original "getFITwithFITZ" trainer. She always made me exercise and eat healthy foods, when all I wanted to do was eat Fruity Pebbles and binge on cartoons on days off from school. Thank you for being my inspiration for lifelong wellness from the very beginning! If I was in New York right now, I would cook you dinner! Life is too short. Make every day and week count! I hope this week brings you and yours health and happiness.